The Person: Who was Arizmendiarrieta? 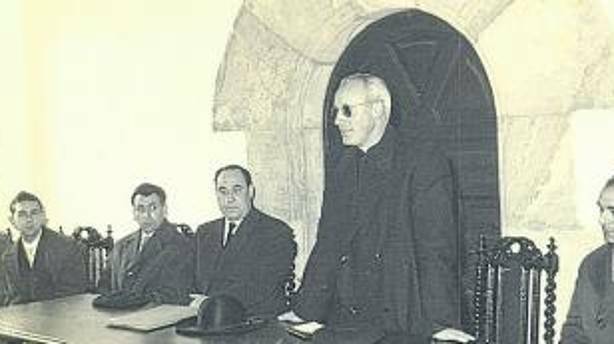 José María Arizmendiarrieta is the Basque priest who inspired the Mondragon cooperative movement. 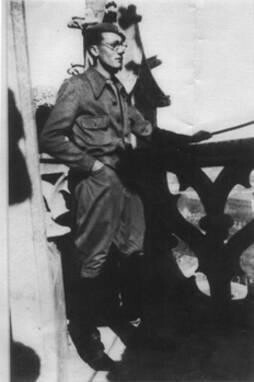 He was born in 1915 in a Basque farmhouse of Markina, to a Catholic family in the Basque-speaking rural area of the province of Bizkaia. The eldest of 4 children, he received an education that transmitted some key features of traditional Basque culture: the value of effort and sacrifice, hard work and savings, but also respect for human dignity and concern for community issues. 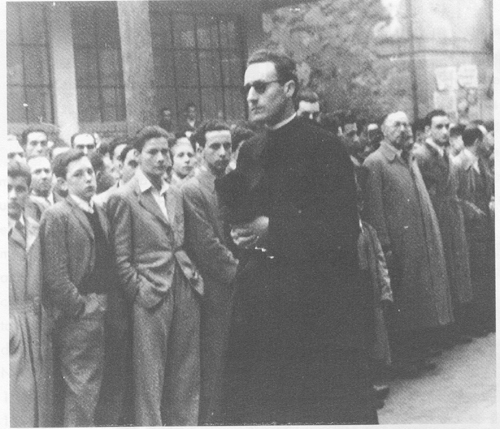 He entered into the lower seminary at age 11 and was ordained a priest in 1940, after his education was interrupted by the Spanish Civil War, in which he took part as a journalist in the Basque Government army. His training in the Seminary of Vitoria sealed his character. 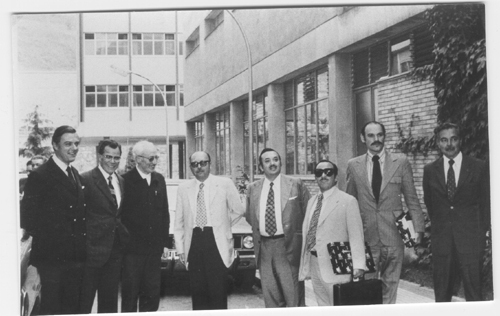 There, he was involved in two study groups, marked by a high level of reflection, work and self-motivation: one on the Basque language, culture and Basque anthropology, with teachers such as Manuel Lekuona and José Miguel de Barandiarán, allowing him to give roots to the Gospel message in the Basque Country. The other study group focused on social issues and the working world, also under the instruction of highly intellectual professors. 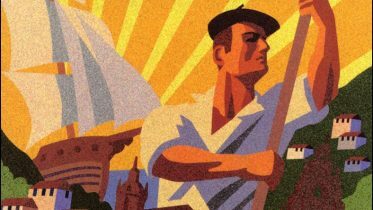 In 1941 Arizmendiarrieta arrives to the parish of Arrasate-Mondragón, a town of just 7,500 inhabitants in the province of Gipuzkoa, with a small agricultural economy and an important metallurgical enterprise that feeds on a small school of apprentices. It is the postwar years in Spain, also from World War II. It is a time of shortages and hardships, lack of freedom, where there is a lack of everything, starting with the training of youth. This is where Arizmendiarrieta sowed his seed under the repeated slogan: “Complaints NO, YES to action”. He mobilized youth creating sports facilities and opened a professional school, in 1943, the origin of the current University of Mondragón. At the same time he was developing activities in Mondragón, he promoted the social school for priesthood at the Seminary of Vitoria, to train and address the concerns of diocesan priests. Thus, from the combination of these impulses the first step towards the creation of an innovative business model is taken in Mondragón. Arizmendiarrieta was, in this process, a key person in the design, support and implementation of practical formulas that were being discovered to apply his visionary ideas to the business world. But he never received any economic compensation or a position in what would become years later, the first cooperative group of the Basque Country. Perhaps the first question that arises (for both Christian believers and non-believers) considers the meaning of developing an initiative in the 21st century that sounds of times past, almost medieval. Other questions are also present: Does it assume that we are looking toward the past or does it serve for the future? Doesn’t this represent an excessive focus on the individual as in non-democratic regimes? While there may be specific reasons from a Christian perspective, (basically one person’s own behavior coated with extraordinary Christian virtues) some answers can be given to the questions listed from a non-denominational perspective, from the perspective of people who, without professing any specific religious idea, believe that it is worth defending companies and societies which are more human and less selfish. In this sense, it is a source of satisfaction and pride to place a person that has emerged among us, from a small village in the Basque Country as a model, educated with the traditional values of our culture and whose life emphasizes humility, tenacity, and concern for people and the community. We believe that it is can also serve to create a more human business model and society. The Mondragon experience reveals that the application of the values of Christian humanism to the business operation, far from being a handicap for the development of the company, is a contribution to greater competitiveness in the market. A business model stands out which takes into account the equal human dignity of all persons, underscoring the prevalence of the needs of the collective project (common good) over the interests of individuals or groups, stimulating the participation of workers in management, outcomes and property, practicing internal solidarity with a narrow wage range and taking into account the community in which it operates. And the results show that, in this context, people’s satisfaction is greater and, as a result, their contribution to the collective project and the effectiveness and sustainability is also greater. Arizmendiarrieta may be the paradigm that proves that an economy at the service of people is possible and that practicing humanistic values is good for the sustainability of a business. This may be of particular interest in a global economic context in which humanity seeks new formulas, after the failing of Marxist proposals and the problems generated by a market left to its own rules. On the other hand, we believe that the canonization process is also a service to the Catholic Church, to the extent that it proves that its social doctrine is not a set of well-intentioned but non-applicable principles; but rather that they are able to inspire useful, practical solutions to solve the problems of individuals and communities. In addition, we understand that this can encourage other Catholic groups (do not forget that there are more than 400,000 priests exercising Ministry around the world) to implement similar projects, adapted to their culture and economic reality, knowing that it is possible to carry out relevant projects in the business field, based on the values of the Gospel. In the end, it may result in a service to our Basque Country, whose reputation would be reinforced by the explicit recognition of the universal Church for a person who applied its guidelines in a unique cultural context in Europe, with undeniable success. For all these reasons, we believe that it is worth continuing the process of canonization and to try to take advantage of the mentioned potentials creating a specific Foundation, which bears his name and serves to unite the efforts of all people of good will who want to help promote a more human economy. 1 Comment on "Why Do We Want to Canonize Arizmendiarrieta?"